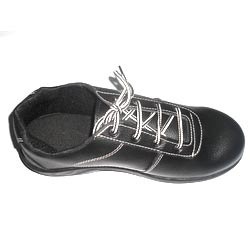 Manufacturer of a wide range of products which include accord safety shoes, tiger safety shoe, safari booston safety shoes, safari plus pvc rubber shoe, safety shoes and pvc moulded industrial safety shoe. Our dedication to offer premium range of Safety Equipments has enabled us to present Accord Safety Shoes that are specially designed for protection and comfort. We only use the highest grades of raw materials and maintain stringent quality norms to offer flawless product to our customers. 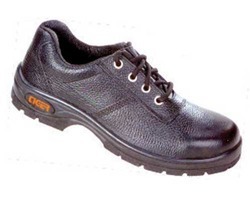 These shoes possess unique features and specifications that make these an obvious choice in quality Safety Shoes. We offer impeccable quality Tiger Safety Shoe that is designed for safety from metal pieces or objects strewn over the ground. 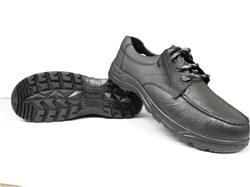 These light weight, anti static shoes are designed with energy absorbing heels and are highly impact resistant. We use the finest grades of raw materials to manufacture these shoes under rigid quality controls complying with international towards. 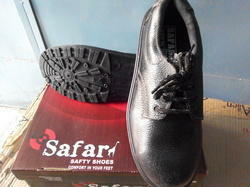 We are the manufacture and supplier of the Safety Shoes. 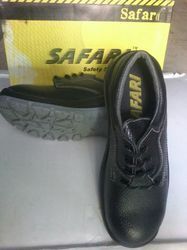 In continuation with our service in the Safety Equipment Products we are offering premium quality Safari Safety Shoes. These are made from genuine leather and are very comfortable. The outsole is dual density and offers outstanding safety. We maintain very rigid standards of quality and offer these at reasonable rates to our esteemed clients. Looking for “Industrial Safety Shoes”?